After spending some time looking around, I pulled the trigger on a used SeaArk 1652 tunnel hull, centre console with a 2 stroke, Mercury 60/40. Hope to use primarily for River fishing year around in Michigan. From everything I can find and read about this setup it sounds like it's a good combination and the hull he's very well built. The boat and engine itself comes from a reputable guy, so I have no reason to be concerned about how it's lived its life. Does anyone have the same setup or something similar that can share their experience? I'm just getting a little giddy about upgrading the 1444 w/20hp Jet that have now and I'm looking for more information. I got lucky and stumbled on my Lowe Roughneck 1652 jet tunnel when the guy never even mentioned it was a tunnel hull in the ad. 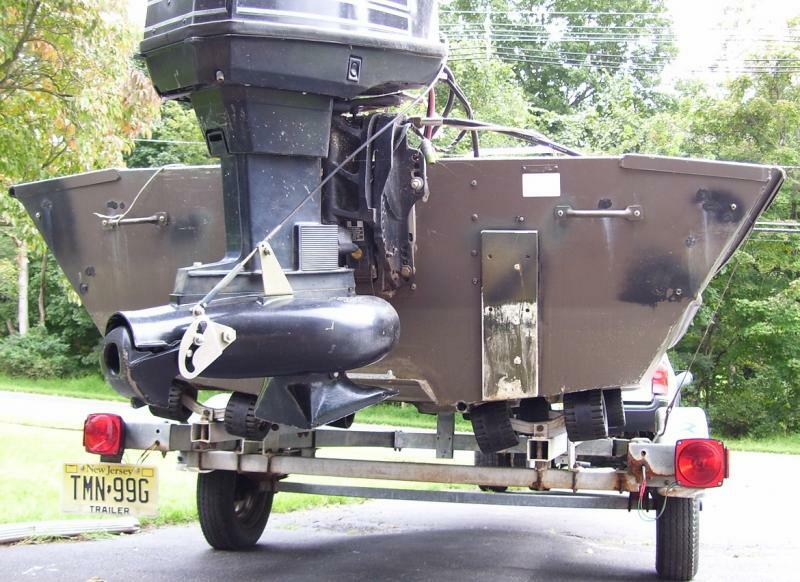 He had a 40 hp Evinrude longshaft prop motor on it. I bought a short shaft Mercury 60/45 jet and sold the 40 for just about the same price. I ended up moving my console forward to help balance out the weight better. I had to play around with the motor height mounting before I got it where it seemed to run the best and minimized the porpoising. 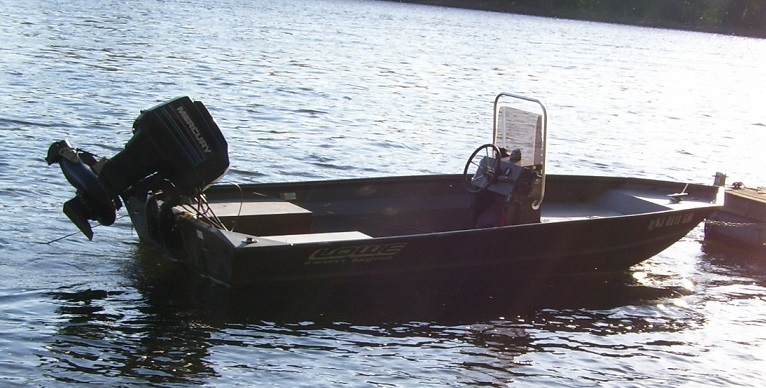 For my use on the river, the only hull I would trade it for would be a 1660 SeaArk to get a little more width. I doubt I'll find one of those for the price I got this boat for so I'm sure I'll have it for a while. Ya, I think I have a pretty good set up. Mine is a Fwd Center console like yours. Any other feedback on this? I think you will love that boat. We have a SeaArk dealer in our area and the guys that have them are happy with them. 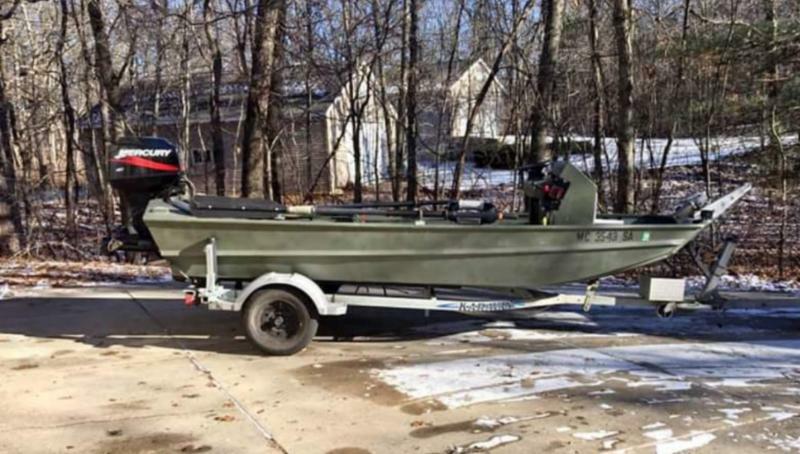 I have a 1648 Tracker GRIZZLY with a 40/30 jet, also a 1654 FB Tracker GRIZZLY with 9.9, 15, or 30 hp. prop motors I can throw on. I really like the wider bottom of the 1654, that 1652 should be a nice upgrade compared to a 1444, enjoy! Don't trade that 60/40 two stroke off for a 60/40 four choke you'll be sorry. In the smaller outboard jets like the 60/40 the two strokes are a lot stronger. It's easy to say well when I want a new motor I'll just go 90/65 then, but that is awfully heavy motor that size hull. So stick with that 60/40 2s. What year is the motor looks like it should be a 59ci merc which is one of the better motors in that power made. I'm guessing you run manisttee, muskegon, or st joe river? Should be a good boat for that. Looks like yours is a taller transom so that should work better to keep spray down and allow you to run a long shaft. I had to fool around with the motor mounting height and had to add a transom wedge to get mine to run with minimal spray and no porpoising. The tunnel hull feels like it loses some buoyancy but I don't run super shallow where I am so it doesn't really matter. If that is a concern for you, you might need some pods to help keep the back end from squatting as much during take off. That's all good information, thanks everyone. I can't wait to get it in the river. What kind of speed do you think I'll get out of the 60/40? Confession: it's not official money yet, we just haven't been able to get together for me to pick up. 24-26mph would be my guess if it were a straight flat bottom a little faster. It may be a little bit better, but it's hard to get much over 30 out of a 60/40 unless it's on a pretty light flat bottom boat. Some guys go faster with the old two strokes, but they have usually modded them, and have them on lighter flat bottom hulls like a blazer. SEMO guys are big on 60/40's cause of hp restriction on some mo rivers. Pods do help with getting up on plane faster, you might have to dig for it but not too long ago I did full write up in the outboard jet section about my pod installation. I'm happy with them boat planes out quicker, with a heavier load is where I can really tell they made a difference. Drafts a good few inches less now too. Oh yes, I read your Pods post. Good write up. I'm not sure I'll need them since the console was moved so far forward by the previous owner. I fish alone 95% of the time, so it's likely going to plane quick. They previous owner has owned it since 2003, I think he had it dialed in. I can wait to get it in the water. I fish the Michigan Rivers year round, soon as this cold front passes and I go get it, I'm going to be familiarizing myself.. I only asked about the rivers as I have a friend from Manistee area originally and have been up that way on the Manistee once with my boat I like that area of Michigan. That boat should be good for most of your river running up there. I've been happy with the pods helped my dead draft a lot which is nice when I'm drifting down stream fishing a river doesn't drag bottom as much. I'd like to rig a up an anchor system like a lot of the guys up there use. Here's a picture I took before I switched out my trailer rollers for bunks but it shows the waterline pretty good since my boat stays in the water all summer. When I'm in the boat up front, the back comes up some so it's not as bad as it looks. With pods I'm guessing it would draft 2-4" less. It's not a big deal where I am on the Delaware River but if you need to run super shallow then I'm sure they would help.